The cause of infantile colic remains unknown, despite being relatively common. Its prevalence ranges from 5% to 40%, depending on estimates. 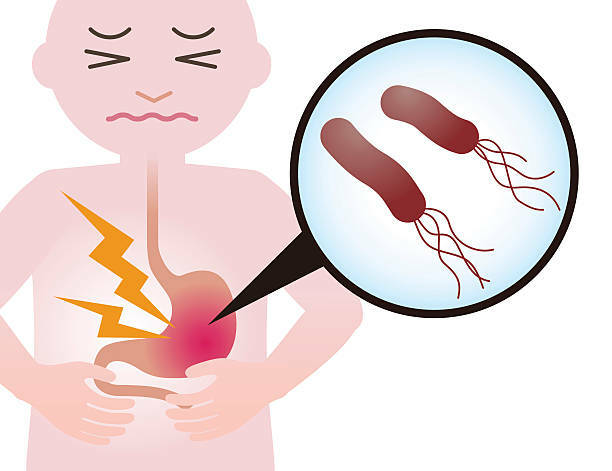 Helicobacter pylori infection was strongly associated with infantile colic in a small case control study. The study was published in the July issue of Archives of Pediatrics & Adolescent Medicine. "Numerous studies have elucidated the pathogenesis, immunology, and H pylori gastrointestinal–related disorders (in addition to extraintestinal manifestations) associated with H pylori infection, but to my knowledge, none of these studies have investigated the role of H pylori in infantile colic," writes author Abdelrazak Mansour Ali, MD, from the Department of Pediatrics, at Al-Azhar University, Cairo, Egypt. As part of an effort to understand the pathogenesis of various infantile disorders with unclear origins, Dr. Ali investigated the potential role of H pylori infection in infantile colic. He used a stool antigen test to check for the presence of H pylori in both case and control groups. He also administered questionnaires to the mothers to ask, among other things, about maternal health status and about how often the baby cried and for how long. Of the 55 case infants, 45 (81.8%) tested positive for H pylori, and 10 (18.2%) tested negative. Among the 30 infants in the control group, however, only 7 (23.3%) tested positive for H pylori, and 23 (76.7%) tested negative. Dr. Ali says that based on his results, along with those from previous studies, "Helicobacter pylori infections may be considered the etiologic pathogenic organism of infantile colic."